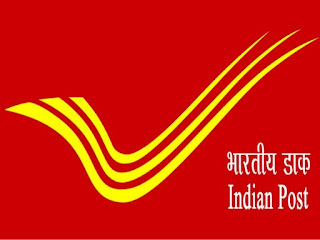 Indian Post office Recruitment 2019 has release for various vacancies . Want to apply for it? Find here all details. Educational Qualification: Matriculation from any recogniæd Board or University. 2. Scale Of Pay: Rs.21700/- in Level-3 Of Pay Matrix as per 7th CPC + admissible athwance as prescribed from tirne to time. 3. Probation: The candidates selected will be appointed and will be on probation for two years. Training will be imparted to the selected candidates as pæscribed. Age: 18 - 27 Years. Graduation details Matriculation from any recogniæd Board or University. Payscale Rs.21700/- in Level-3 Of Pay Matrix as per 7th CPC + admissible athwance as prescribed from tirne to time. a. The candidate is required to indicate the Division for which he/she is applying for the post of Postrnan/ Mail guard. Only One(l) Division is to be indicated. (b) Before starting Registration of applkation on the website, Candidate should read the notification, instruction sheet carefully. He/she has to evaluate his/her eligibility for the category. His/her eligibility will be evaluated during the registration process and the process shall terminate for candidates and reasons there for would be prompted. (c) candidate has to verify the correctness of data fed before registering/submitting his/her application. (d) One candidate has to submit only one application. If more than one application is registered, it will lead to reÉction of all the applications registered by the candidate. (e) Help desk provision is available to the candidates to guide how to apply/ to know the status of the over the Telephone number displayed in the web page. The applications are to be submitted online only. Manual applications will not be entertained. (g) Applü:ation fee and Examination fee should paid in one installment as prescribed Para 12 through epayment in any departmental post office (Head post Sub post offices) in Andhra Pradesh Circle. (h) For Receiving the SYIS to the registered mobile number, candidate has to ensure that the mobile number given at the time of payment of fees is not registered under "DND" (Do Not Disturb). 0/0 Chief Postmaster General, A.P.Circle, Vijayawada-520 013. Aptitude Test a total of 100 marks of die level of 10th standard covering the following subject/ topics. The Aptitude Test is objective type comprising of following four parts. There is no negative marking. 1. Applicants can visit website www.appost.in or www.indianpost.gov.in for detailed Notification/ Advertisement issued by the Postmaster General, A.P.Postal Circle, Vijayawada here in. The candidate can register his/her application for only once and if a candidate registers more than one application on-line, his/her candidature is liabk to be rejected with. 2. In the first step, the candidate has to register by filling in the details including sbmdard information i.e; Name, Date of Birth, community, Gender, Fducation qualification, Mobile Number, Email ID etc. 3. Applicants can fill the details/ inputs in the Online Application at the appropriate places very carefully and can edit the particulars through the EDIT option. Once the filling of application is completed in the first step, the candidate should submit the data by clicking on the SUBMIT button at the end of the Registration. Before pressing the SUBMIT button, the candidates are advised to verify carefully every field/ inputs mentioned in the application. Name of the Candidate or his/her father name etc. 4. should be spelt correctly in the Application as it so appears in the Matriculation marks sheet. Any change/alteration found/ detected later on may lead to his disqualification of candidature. After successful registration, the candidate will receive a Unique Registration Number (URN) on given mobile number and email ID for further login.The candidate has to use the registration number and DOB for log in to the website where he/she can take out the print of the fee payment challan in triplicate to enable him/her to pay the fee. The candidate has to retain this unique registration number for future reference. a. For primary registration through online - Commence from 31.012019 and closes on 28.02.2019 23.59 Hrs.